Our diverse collection of fountains can add elegance to any outdoor landscaping! Our handcarved fountains complement gardens and make them stand out from the rest. Our classic acanthus leaf ornamented fountain enhances the beauty of a garden or landscape by having a petal-like basin design. 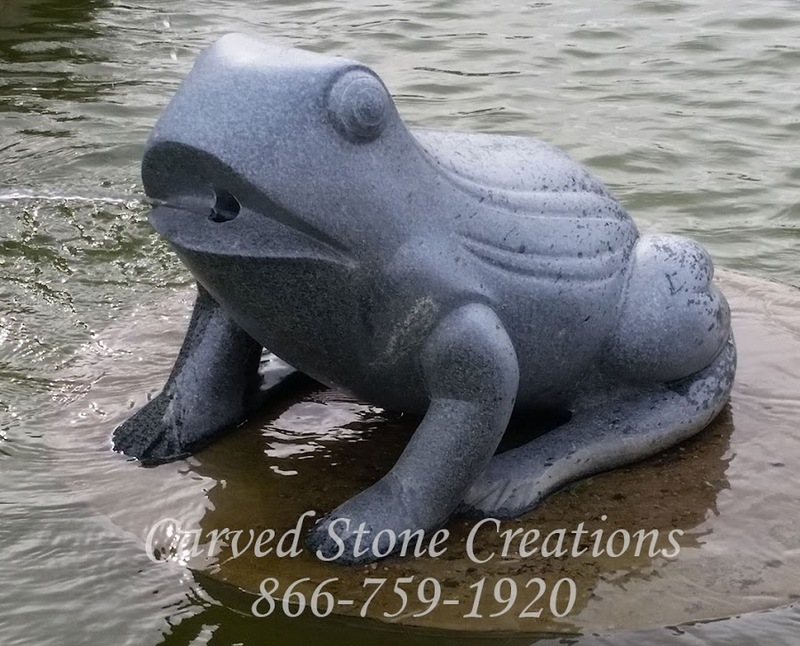 Our large handcarved granite spitting frog fountain is also an excellent choice for your landscape. Adding a stone animal to your garden or pond is a charming design that will make your landscaping unique. Classic statuary designs are another wonderful addition to your home. The possibilities with these handcarved sculptures are endless! 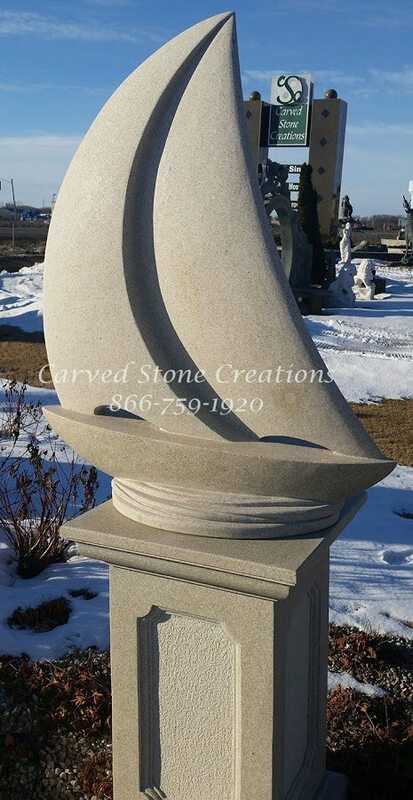 As spring returns and summer is on its way, a sailboat sculpture is one design that can add an elegant and nautical feel to your landscaping. It is a great addition for those warm weather months and a sunny reminder when its cold. 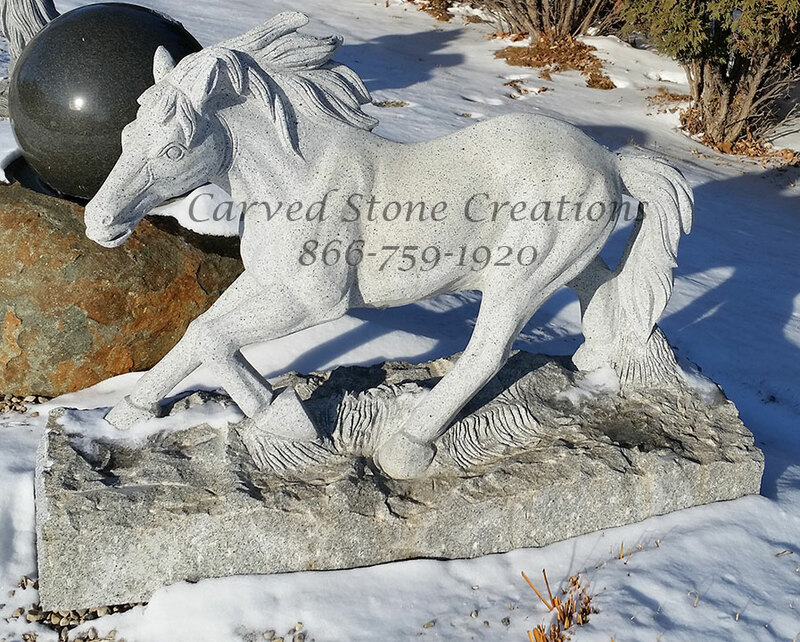 Another fantastic sculpture is the carved granite running horse statue in bianco catalina granite. This handcarved design is unlike others and aesthetically pleasing to the eye. Many people underestimate the practicality of a stone bench. Not only are they picturesque, they are also durable and allow you to sit and enjoy the outdoors in your garden. The rockface curved bench has an attractive look and is handcarved from giallo fantasia granite. 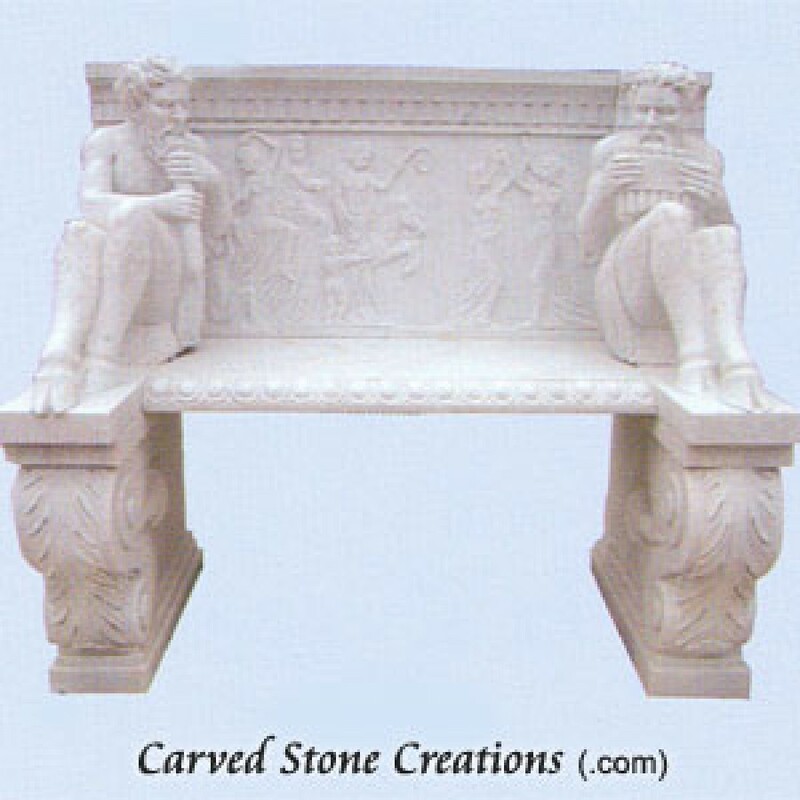 The Greek sculpture style park bench with handcarved statues is almost like taking a step back in time. This bench is handcarved from fine white marble and portrays Greek mythology. Whether you pick a classic or Greek style, all of the benches are one of a kind and last a lifetime. If you love what you see, or have a vision of your own, contact us today! We can make your visions a reality.